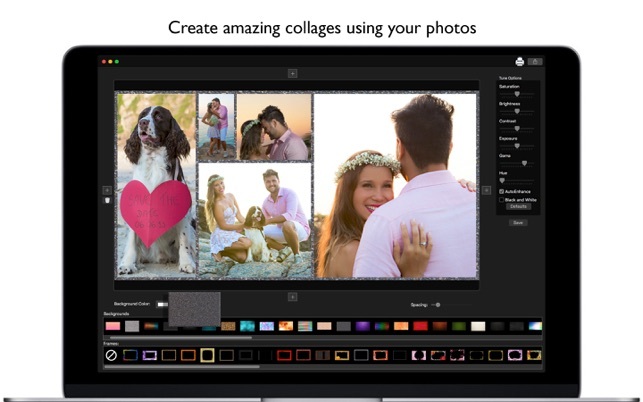 Did you ever wanted to make fancy collages to show someone? Its too hard to cut and glue many photos together? Not anymore! 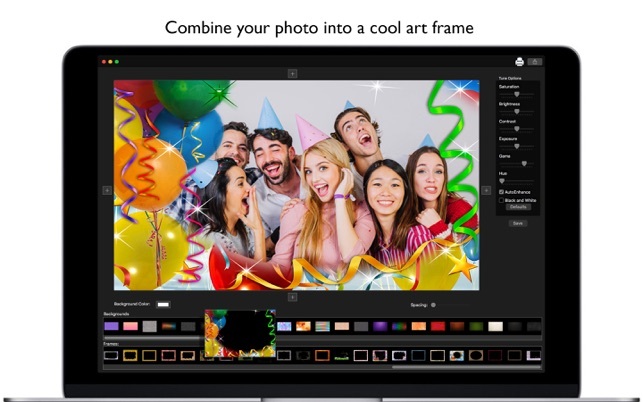 With Collage Studio - Custom Frames you can do collages very easily! 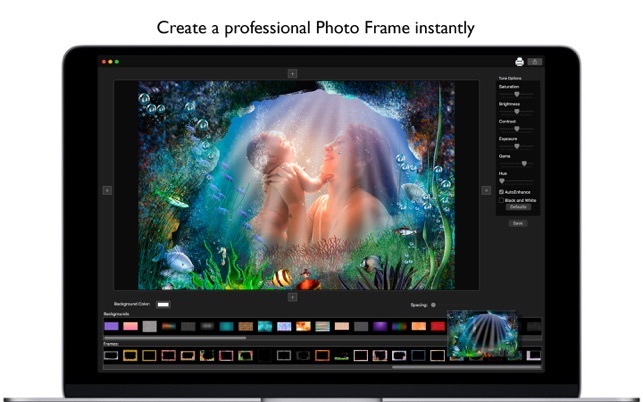 Don't need any artistic skill or to be a designer, just add photos choose your frame and your background and you are done! You can even tune your image by changing the correction sliders. Don't lose time anymore! 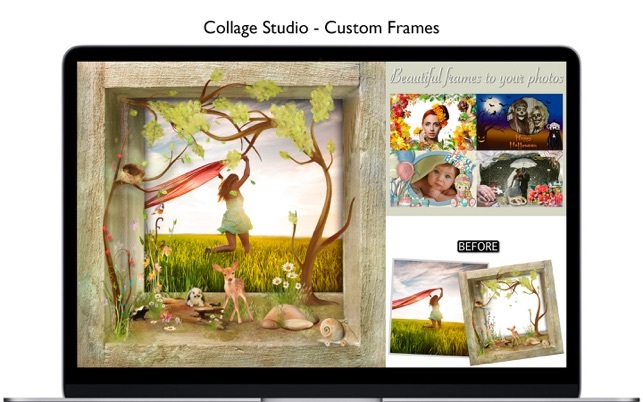 Download now Collage Studio - Custom Frames and start making your own Collages! • 70 Frames to choose. 1. Click on any one of the four “+” buttons to add images. 2. You can add many sequential images you want, just click on the respective position “+” button and select many images you want. 3. 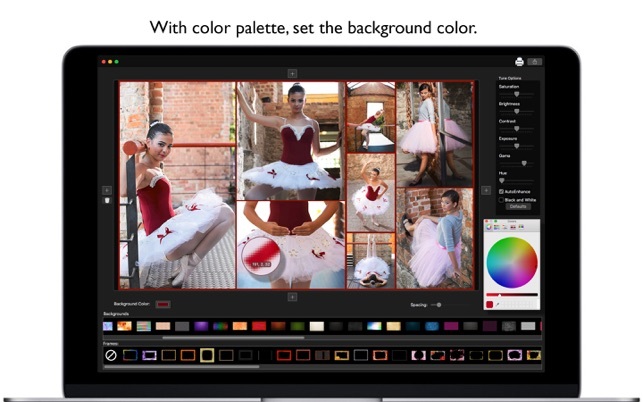 You can change the background color by clicking on the “Background Color” Square. 7. If you want you can tune the image by changing the “Tune options” Sliders, on the right side of the screen. 8. To save your final image just click on “Save” Button, or if you want click on the printer to print your image, or share it on social media by clicking on “Share” button.